Many historical characters wend their way through the nautical fiction of the Age of Sail. The Royal Navy was a fairly small organization, especially in the number of officers, and as employment was gained via interest and patronage it is essential that the heroes in these books have a patron. If the character is to insinuate himself into real events, the patron must be real. We’ve already touched on the initial sponsor of young Midshipman Alan Lewrie, Admiral Sir Samuel Hood. Fans of Horatio Hornblower will know that he achieved post rank through the patronage of Admiral Sir William Cornwallis. One significant figure crosses the stage frequently but thus far I have yet to encounter him as a patron of one of our heroes. That figure is the imminently unlovable John Jervis, Earl of St. Vincent. He came from comfortably middle class surroundings and had been chosen by his father to follow him into the practice of law. Young John Jervis ran away to sea at age 14. He was retrieved by a disapproving father who quickly reconciled himself to his son’s determination to make the sea his career. Jervis was legendary in the fleet for his frugality as a midshipman. One story has a bank draft against the allowance from his father being dishonored because his father had not allocated the money. Jervis immediately sold all his possessions, including his mattress, resigned from the midshipman’s mess and moved forward to live with the common sailors. He did so until he’d paid off his debt. At the same time he took a personal interest in seeing that promising officers were rewarded. …[Lieutenant] Coghlan, in the Viper cutter, captured the Cerbere by a dashing feat of gallantry. Lord St. Vincent, in writing to the Secretary of the Admiralty says —” I did not think the gallantry of Sir Edward Hamilton and Captain Patrick Campbell could have been rivalled, until I read the enclosed letter from Sir Edward Pellew, relating the desperate service performed by acting Lieutenant Coghlan of the Viper cutter, which has filled me with pride and admiration. […] I am persuaded the Lords Commissioners of the Admiralty will do all in their power to console him under his severe wounds, and make a minute for his promotion the moment he is in a capacity to receive it.” They did so; and this promising officer, in the progress of his service, became Sir Jeremiah Coghlan, a post-captain. “I shall not trouble your lordship with a word more than is contained in the enclosed private letter from Sir Edward Pellew on the subject of the intrepid Coghlan, except to say (not out of ostentation, but to prevent the city, or any body of merchants, making him a present of the same sort) that I give him a sword of one hundred guineas’ value. To the extent he is mentioned in fiction, he is probably most famous for the fiery exchange in Patrick O’Brian’s Post Captain when Earl St. Vincent, as First Lord of the Admiralty, meets an unemployed Lieutenant Jack Aubrey in search of employment. ‘Only by a damned lawyer’s quibble,’ said Jack, his voice rising. St. Vincent probably did more than any other single figure to create the Royal Navy that preserved Great Britain during the American Revolutionary War, the French Revolutionary Wars, and the Napoleonic Wars. He insisted on iron discipline and demanded that the officers be bound by the same discipline as the men. 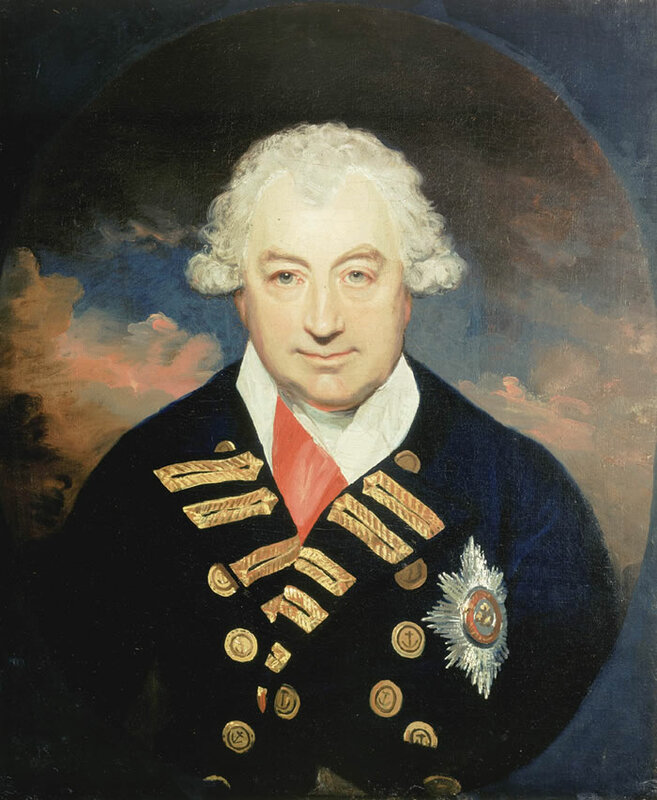 His command of the Mediterranean Fleet set the standard for efficiency and saw the rise of a generation of officers in the mold of Horatio Nelson.